Black Friday is fast approaching. You don't have to wait to make your list. The ads are already available online. 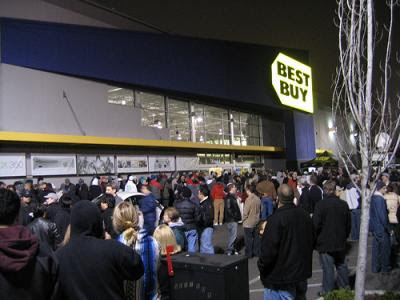 Black Friday (the day after Thanksgiving) is typically the biggest shopping day of the year. Although this year the sales have already been almost as good as the previous Black Friday ads. Several stores have already leaked their ads for this huge shopping day. Don't wait to scour the ads until they arrive in the paper on Thanksgiving Day. Most black friday ads have already been released online. You can view the actual adds on 2011blackfridayads.com. I like to use their website to visually see the adds. Then, I visit the website bfads.net where I can select the deals that I would like to get and print an itemized shopping list that I can take with me to the stores. From your list, prioritize what deals you want the most and plan to hit the stores with those deals as soon as they open. Remember that bicycles, popular toys, computers and electronic deals tend to disappear the fastest. Clothes and furniture are usually not the first to go. Some stores are opening at 3 a.m. While others don't open until 4 or 5 a.m. on Black Friday. Divide and conquer. If the checkout line is huge, I send my dear husband to wait in line while I grab the items we want to purchase. If the lines are not long, we divide up the list and meet back at the cash registers. My favorite year shopping was when my husband's family came down for Thanksgiving. We each made our list for each store, and each adult went to a different store to get the deals for everyone. Then, we just reimbursed everyone for what they purchased in our behalf. Most of all, have fun and enjoy all the savvy savings that are available on Black Friday.